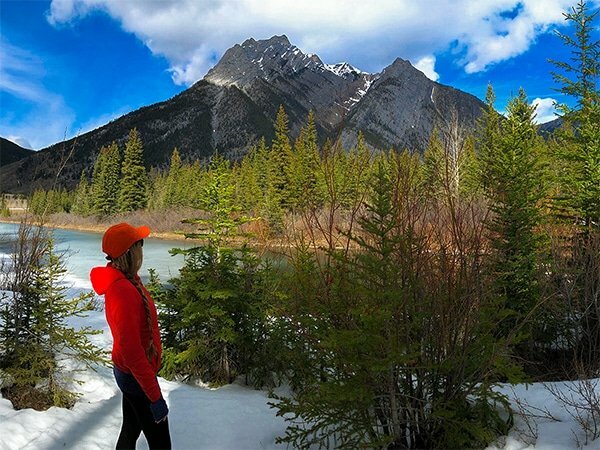 Trying to find the perfect hat for outdoor adventures is a tough job. Some are too hot, some too heavy, some don’t fit right. 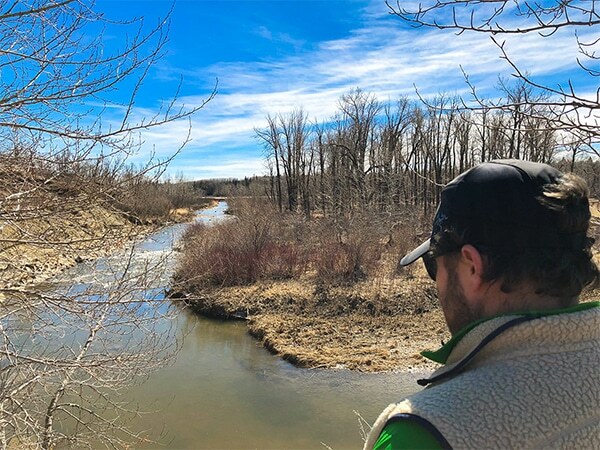 Don’t head to the trail without at least something covering your head this spring. But don’t wear something bulky and hot, either. 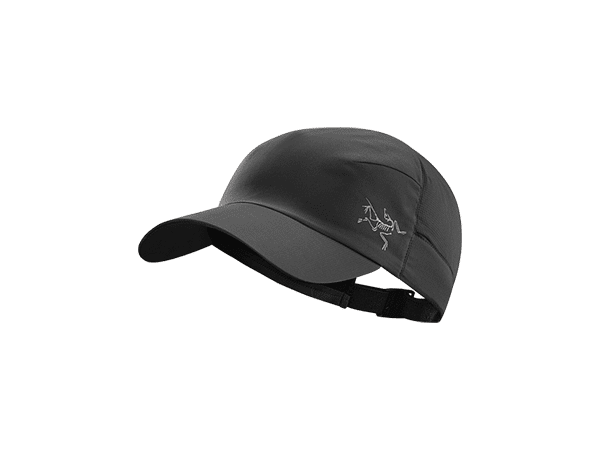 Get a real hiking hat like Arc’teryx Elaho Cap or the Arc’teryx Calvus Cap and enjoy real lightweight comfort and packability.  Check out our reviews below. 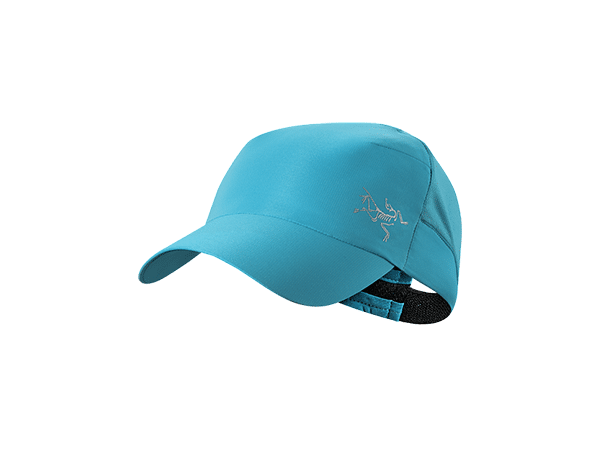 Finding a lightweight, breathable hiking cap that has ample ventilation, offers UPF 50+ protection for hiking in sunny locales and high altitudes, and stashes away comfortably in your pack or even your pocket is tough. Luckily Arc’teryx has two, with the Elaho and the Calvus. One of these caps is always stashed away in our pack. 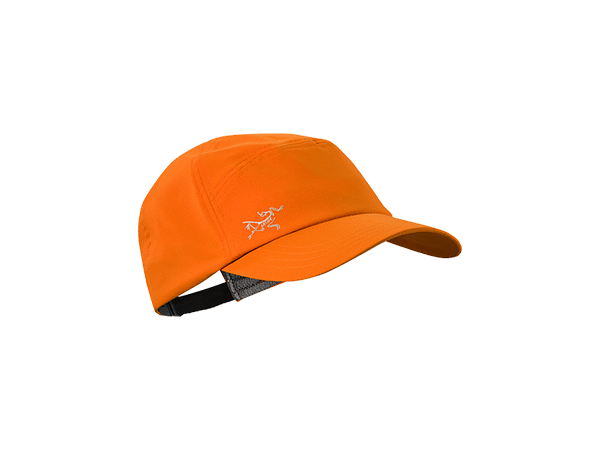 They’re especially great for keeping the sun out of your eyes when scaling mountains or for wearing under your shell hood when you caught out in a storm, but you can wear it for virtually any activity – like biking or running. We find the Calvus ends up on our head around town as well, with the comfortable fit and great look. Light and Packable. Go ahead and crush this thing, and then stuff it in your pack without fear. The laminated brim will keep it safe, and won’t take up a lot of room, either. Comfy and Breathable: Being hot and sweaty is no fun – and neither is sweat and bug spray running into your eyes. 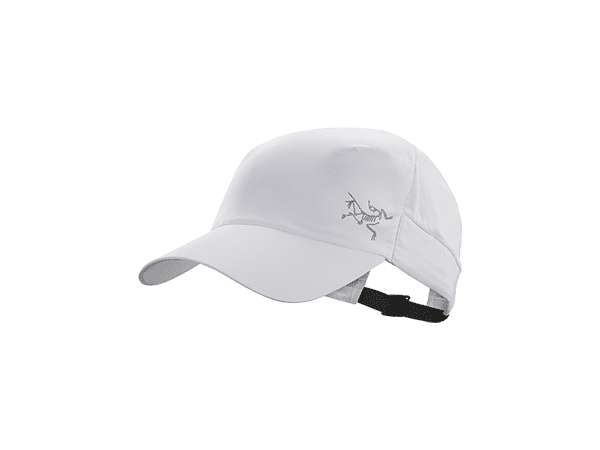 This hat is about as comfortable and breathable as you can ask one to be and has a nice elastic sweatband. UPF Protection: High altitudes mean thin air and strong sun. The Elaho’s poly weave is rated UPF 50+ to block out pesky UVA/UVB. Not enough colors. As of early 2019, the Elaho comes only in Blaze Orange, Black and Labyrinth – pretty boring. We’d love to see it in more of the many colors Arc’teryx jackets come in. The Calvus comes in 3 colours too, White, Black and Firoza (teal). Brim: This is personal choice. We found that one gear tester preferred the curve in the brim of the Calvus, whereas the other tester liked the colour and that the Elaho has more of a malleable, flat brim. Like most Arc’teryx apparel, the Elaho and the Calvus are made from a lightweight and breathable fabric – one that’s really comfortable, even when you’re working up a sweat. 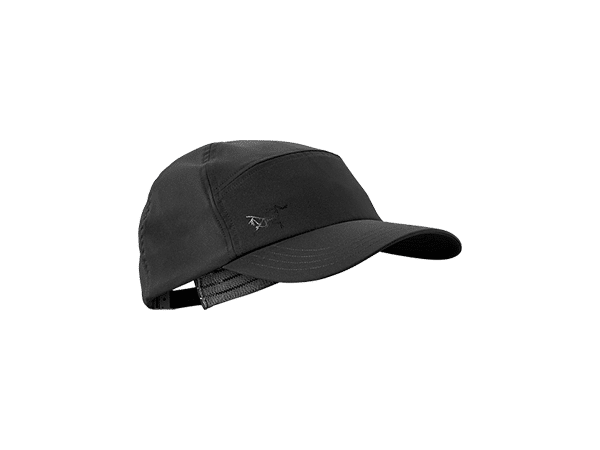 Unlike a classic cotton baseball cap – which soaks right through – this one dries right out, thanks to the 100% poly build. The elastic sweatband helps, too, keeping sweat contained instead of rolling into your eyes. (It’s also just soft and comfortable). And at 1.6 ounces/ 45 grams, it’s extremely light. Almost like you’re not wearing it. hem more than comfortable for summer hikes in the mountains – or even chillier trips if you’re the high-speed, low-drag type of hiker. The fit is trim and neat, but not tight – and certainly not baggy, in keeping with Arc’teryx’s customary slim design. We find we can move quite comfortably and nimbly, thanks to the stretch. At the same time, we appreciate that they don’t feel like we’re wearing Spandex bike shorts or something. This is probably the best thing about the Elaho, and to a lesser extent the Calvus. Sure, you can crush your everyday cap too, but you’ll probably permanently bend and ruin the brim. Instead, the Elaho rocks a laminated brim, which helps it hold its shape and bounce right back from being crushed. This way, you can stuff it deep into your pack for carrying without damage. Or if going running, you can easily stash it in your pocket. Mountain biking? Throw it in your hydration pack. We love how versatile it is and always have it on us. Sun protection is often overlooked, but that’s what ball caps are originally for – so we’re glad to have it, even far north in the Rockies. Hiking 12,000+ feet in the air necessitates it. the Elahois UPF 50+ rated thanks to the very-tight Circuit polyester weave – good enough for sunniest of locales. We imagine those of you in hotter and sunnier locales will put it to good use, too. Simple and trustworthy, the Elaho and the Calvus are the perfect caps for hikers, mountain bikers and all-around active folks alike. They are ultralight, moisture-wicking and just downright comfortable. Your only decision is if you want a cap that can be crushed down. If so, the Elaho is your bet, as it crushes down to packable size that fits in both your backpack or your pocket. If you want a pack that holds the brim shape and looks sharp around town, then you’ll probably want the Calvus. We do wish it came in more colors, as we don’t like blaze orange, black is kind of boring, and only the blue/green Labyrinth is at all attractive. But otherwise, what’s not to love? We always keep ours on us, wherever we’re hiking.